WISCONSIN RAPIDS – What exactly does an industrial mechanical technician do? 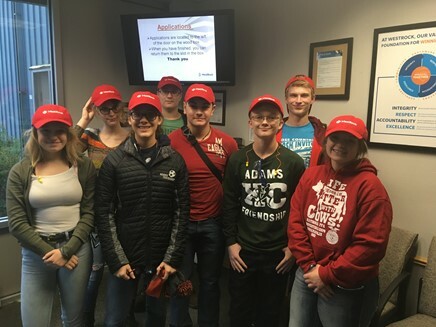 Eight Adams Friendship High School (AFHS) students recently found out with a 12-week, hands-on introduction to industrial maintenance course offered by Mid-State Technical College. The students earned a Mid-State college credit while learning about soldering copper pipe to create useful objects like laptop stands and coat hooks, using torches and aspects of torch safety, pressing industrial size bearings and their functions and performing a chain alignment to keep factory machines humming. The class met once a week on the AFHS campus and was co-taught by Schultz and Adams Friendship High School’s Technology Education Manufacturing Academy (TEMA) instructor, Krystian Weglarz. Six sophomores and two seniors from AFHS enrolled and completed the course. All are active participants in the TEMA Academy, and the course fee for each student was entirely funded by sponsorships from A Bigger World Foundation, a non-profit organization serving 9th–12th grade students in and around Chicago. Weglarz is always looking for innovative ways to increase TEMA opportunities for his students. He started the “academy” three years ago at AFHS to give rural pre-engineering students different engineering opportunities, character education, soft-skills training and college-and-career preparation. “When we sat down with Mid-State to develop this course, we incorporated communication and other soft skills to make sure it would have broad application for students as they narrow their career choice after high school,” he said. Mid-State is actively growing its offerings in the Adams area, including the recent expansion of its Adams County Learning Center to a full campus. The success of this first introductory course on the AFHS campus has the College already planning additional career exploration offerings for high school students in partnership with AFHS and TEMA. 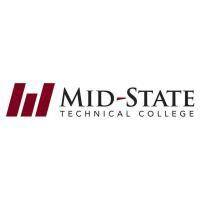 Learn more about Mid-State’s Industrial Mechanical Technician program at mstc.edu/programs. Introduction to Industrial Maintenance students gather for a group photo during a tour of WestRock’s manufacturing facility in Adams. Pictured (left to right) are Daedra Currie, Kallysa Farrell, Ayden Miller, Sam Bassan, Jarek Frank, Jonas Hicks and Casey Nicholls. Students Daedra Currie (left) and Ayden Miller perform a chain alignment in the automotive lab on the Adams Friendship High School campus. The activity was one of many learned in the Introduction to Industrial Maintenance course they took through Mid-State Technical College.